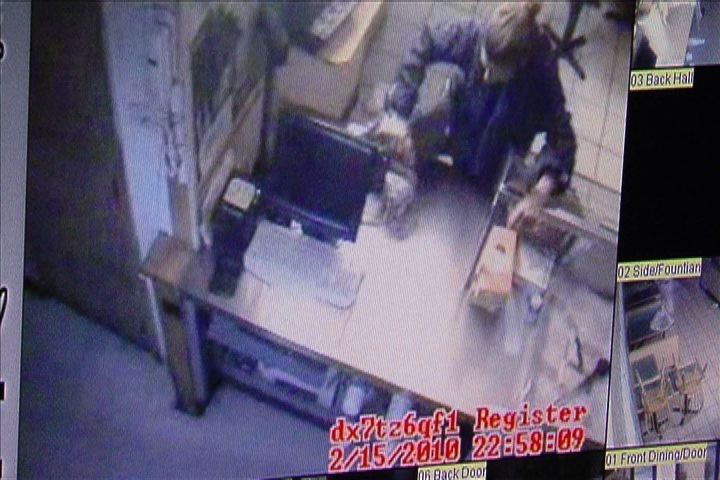 WEST PALM BEACH, FL — Police investigators are trying to identify a woman seen smashing her way into neighboring businesses during the night, and taking off with two cash register drawers. The suspect was caught on surveillance video using a rock or piece of concrete to smash the front door glass of the Subway shop inside the shopping plaza at North Military Trail and 45th Street. Once inside she headed straight for the cash register, keeping her face out of the view of the surveillance cameras, then taking the cash drawer. She also broke into the neighboring VIP Barber Shop, where investigators say she took the cash drawer. It’s unknown how much cash she got away with, or if ay other suspects may have been involved.